This media article has blindly unseen powers of the stars. Instead of wasting time on the programs to educate the youngsters on how to spot dangerous acts before the drama turns out for worst, how about investing the astrology knowledge with proper cosmic teaching the kids to have auto analysis, in order to avoid being a victim anywhere, any time with a responsible action and public education. Learning how to control yourself and governing the beings that impact your life for better or for worse. 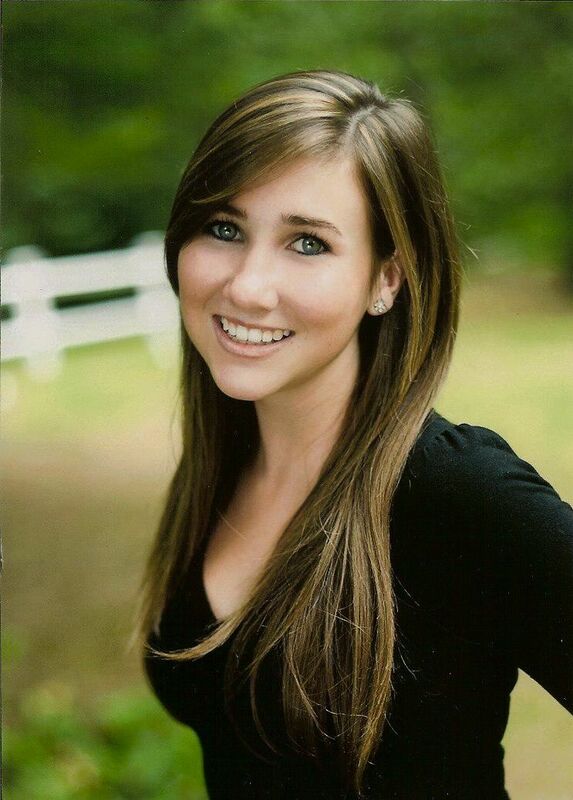 After weeks of ignoring her texts, Nate, 19, finally agreed to meet her on July 3, 2011.The next day, her body was found in a marsh about five miles from his home. He had strangled her with a bungee cord, stabbed her multiple times and slashed her throat. Her body was dumped in a nature preserve he knew from science class. This is very important to spot 12 signs of zodiac before it turns out with a cosmic ‘flag’ or into dangerous cosmic circumstances. When will the teens train to learn about the lights above the stars where it always tell us the truth to use the signs, so we may lead to safe environment for the children / teens / young adults. I firmly believe that the SCHOOL systems are meant for learning in order to be successful in one’s later life with the help of astrological education. Teach your kids how to think critically, and how to spot the deadly signs /aggressive behavior which are the manifestation by according to the natal charts. The kids need a firm cosmic guidance, otherwise they get confused when they arrive in the world of “real life”. Our educational systems and rules in our schools are too routinely, not yet spiritual advanced, where it really need to reform a new additional of a spiritual education in Astrology to the system, and also it needs to throw out the religious dogmas that are interfering the advanced spiritual intelligence for too long. As always, there are unanswered questions in need to be answered for what cause the “dating-violence”. Let me explain simply..
Women are universally attracted to powerful / assertive / dominant/ dominant men who happen to be violent and dislike the challenges against their egoism. Unconcisouly, women do not know their DOB of their partners with a cosmic make up with aggressively Martian behavior and deadly Plutonic behavior. For some cosmic circumstances, they end up in physical abusive relationships, oddly, women often end up(attract) going back to the same pattern of these type of men, repeatedly over and over with one abusive man after one another. Men are universally attracted towards the most physical appealing women as they can get, even though really hot women KNOW that they have the power they have over the men, can often happen to be manipulative and cold, yet unconscious of their DOB in a girlfriend with cosmic make up with the neptunian / venusian energies where it leads to fall in love with ‘bad’ boys, instead of using their head first, then apply it with your heart to discipline wisely. However, this article is Nathaniel Fujita’s case, his behavior is questionable by according to his natal chart via emotional destructive / depression wherever there are waters signs- cancer / scorpio / pisces that resides in his natal chart, shown with the signs that doesn’t let go easily in struggling to let go of a past relationship. Before starting with the teen drama that turns deadly, a critical thinking skills is required, also solving the spiritual celestial conflicts that set the performance for the foundation with the ancient celestial language of universe, using the insights about natal chart to develop a cosmic conscious, reading the universal background with spiritual cosmic traits and exploring how the cosmic circumstances can be passed down from generation to generation intelligently refreshing OR teaching religious dogmas can be passed down from generation to generation in restriction and confusion, or following the words of scientists who argue for the evolution which it doesn’t offer much help for the humanity, the children of the future that will end up as mental ‘monsters’/ lost souls continuously. Religious experts and traditional psychology experts don’t have best solutions for the prevention behind the dating-violence but it doesn’t guarantee. Worse, Police often fail to recognize the warning signs of the attacks or lack of critical thinking with astrological knowledge, to begin with crime solution. Some skeptics / atheists have stretched their thinking and looked at this “pseudo” science, such as Astrology beyond the Divine’s celestial signs where it manifests to be seen. You must understand the nature of all universal cycles that automatically renew the season where you must shift your new consciousness into your mind and heart, otherwise you may get off the track of your destined cosmic journey, could end up with self destructive / get lost in fear/negativity that affects your subconscious to know when you’re about to get self destructive due to the lowest vibrations (that includes conspiracy theories, media,society,environment, etc). It’s time to go back to divine identities where it belongs to children of the universe from becoming a monster instead of, overcoming the fear and ignorance to create a new spiritual regeneration to stay with the lights(stars). The stars do guide us daily ahead of time where the stars in distance are given to use as signs as a relationship to lead a safe lifetime. Genesis 1:14 “And God said, Let there be lights in the firmament of the heaven to divide the day from the night; and let them be for signs, and for seasons, and for days and years:”. Washington (CNN) — The fragile U.S.-Russia relationship — already frayed by disagreements over Syria, Iran and nuclear arms — showed another sign of strain Sunday, as American lawmakers blasted the country’s President Vladimir Putin for allowing NSA leaker Edward Snowden to land in Moscow while evading U.S. espionage charges. As far as I’m concerned, Mr. Snowden’s actions and motives are questionable by according to his natal chart via foreign affairs/foreign lands that I will give a great detail about his cosmic journey. So the question is why do big fighters fight for a freedom of speech as Assange and Snowden would go to a totalitarian country? Note that running off to a foreign country is an act of influence in the transiting Uranus(personal freedoms/rebellious/shocking new developments) in assertive / energetic / impatient / impulsive / warrior sign of Aries. Several hundreds of Hong Kong residents gathered to support Snowden and to voice their opposition to US surveillance policy and even Assange is standing up for Snowden, who has done the right thing. This man’s actions has politically stirred up in U.S., Russia, China relationships. the damage has done, not only that country but others as well, possible due to a struggle power (Pluto) with others in the government sign of Capricorn based on many disagreements over the important foreign policy issues like nuclear arms, so forth, but much more of a political and diplomatic matter than a legal matter. For the people who feel their privacy has been invaded by Uncle Sam, but the jurisdiction of Universal Scorpius has already exposed on the secret affairs and government parties since 2012 and is still going on exposing and revealing to pull the hidden/secret/dark to bring the light on these issues, like the IRS scandal which is absolutely inexcusable, Secret Service agents were caught while hiring prostitutes and Sexting in the FBI. So now Assange and Snowden both already step forward and continue to leak classified information through the internet. 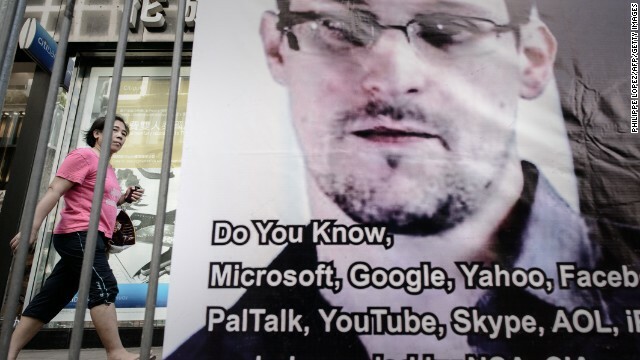 Edward Joseph Snowden (born June 21, 1983) is a former technical contractor and Central Intelligence Agency (CIA) employee who worked for Booz Allen Hamilton, a contractor for the National Security Agency (NSA), before leaking the details to the press of the top-secrets in American and British governments with the mass surveillance programs. Snowden’s Sun in Gemini activates the mental traits, giving strong mental or intellectual abilities. Mercury rules mind, communication and transportation. Moon in Scorpio gives emotional drive, intensity and a desire to live dangerously or on the edge. He’s very intuitive, perceptive as a good researcher and investigator. That’s how he got hired to work for the spy agency in US where it’s located in his 6th house of work. Mercury in Gemini learns very quickly, gets bored easily, and collects all forms of communication. Venus in Leo loads of attention himself, deserves a lot of pride and fame through his intellectual abilities with high expectations. Mars in Gemini makes him very active and courageous thinker and inspires others with his thoughts or printed/written in the document. Jupiter in Sagittarius makes him to be fortunate and protected with the foreign affairs/foreign lands/international law, but resides with his negative dragon tail in Sagittarius may be risky. Saturn in Libra learns hard lessons of sharing and relating, that can result him to become self-conscious with the legal system, the justice and the law. that’s how the planet of Saturn slows him down. Uranus in Sagittarius loves wide open spaces with technology system related to share with a variety of classified intelligence programs. Uranus rules science, genius with technology while Sagittarius rules open mouth, must share the knowledge and resources to everyone. Neptune in Sagittarius fascinated him in foreign travel, adventure, and exploration, and seeks the truth in all circumstances but resides with negative dragon tail in Sagittarius with all these areas together that leads me to question about his safety. Pluto in Libra takes his relationships intensely with an extreme attitude toward to friends and groups who will stand up for him. DH in Gemini gives all of himself as intellectual and communicative powers, speaks two or more languages. Gemini has a dual nature , a changeable person. DT in Sagittarius are questionable based on continuous resides with negative Dragon Tail in Sagittarius that still wonders me about his safety in foreign affairs/foreign lands. I will find out more later. Please stand by. Celebrity chef Paula Deen got fired! Universal Scorpius’s demand for the whole mass of the people of renewing the minds for a wake up call to promote the cultural diversity awareness that’s what Paula Deen’s unconscious has acted out of her natal chart, still using the racial jokes, yet she forget the personal business ethics where she came from the South during the 40’s and 50’s, exposed by the racial slangs and phrases that were commonly used by white people of that time back then. You must understand the nature of all universal cycles that automatically renew the season where you must shift your old consciousness and old habits. if you don’t change, you will pay a heavy price for the biggest mistakes like this humiliated lady with an apology to the public. Deen will not get to renew her contract with Food Network. These folks who were surrounded growing up by the racists, religious, righteous people from the Caucasian ‘race’ must stand up and bring to an end of this old centuries ignorance in transforming to face with the universal truth, love and respect as harmony. Pluto requires to breakdown to rebuild with new values, the mutual respect to get a new structure. In television industries where it needs the racial tolerance in the career of the sign of Capricorn. Transiting Pluto conjunct right on Deen’s Sun/Mars/Mercury in Capricorn, forces her to rebirth again, to come clean with a public apology. New York (CNN) — Celebrity chef Paula Deen’s contract with the Food Network will not be renewed, the network said Friday, the latest fallout over revelations this week that she admitted to using a racial epithet in the past. 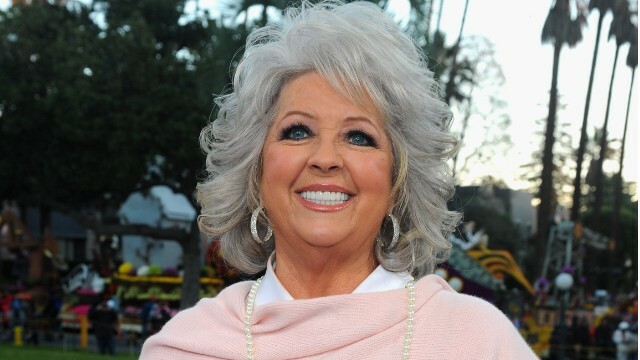 Paula Ann Hiers Deen (born January 19, 1947) is an American cook, cooking show host, restaurateur, author, actress and Emmy Award-winning television personality. Her Mercury in Capricorn demands her to have a plan for organization and structure, Mars rules drive and aggressive. Moon rules emotion response to life. Capricorn has a very cold shoulder with mental snob attitude, but with her Dragon Head in Gemini (books/radio/communication/broadcasting industry) adds more sense of humor that conjuncts Uranus (television/friends/wishes) in Gemini that brings well in communication and television and an author of cooking books. She was born to be racist, religious and righteous person due to the manipulation/cold/calculated/old traditional education sign of Capricorn and an authority sign of Sagittarius, are shown strongly in her natal chart. This is how the way she treated to her african-american staff behind the television show in the past. She acted as righteous person as she knows everything in the books, orders others to do this and that as a typical Capricorn boss. Sagittarius rules foreigners where she resides in the past lives and must have an open minded, with curiosity with varied cultures, but she doesn’t. Sagittarius rules a higher learning, traditional education ,religious, bible, books where she grew up in the South during the 40’s and 50’s, so It apparently is her time to grow up and renew herself with new knowledge to have a new horizon for her.